Here is another one of my classic Magazine reviews from my personal collection of MX magazines. 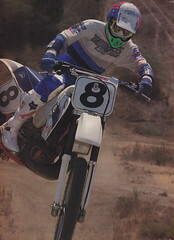 This one covers the October 1988 issue of Super Motocross, a publication printed by Peterson Publishing from 1987 through 1989. I am also including a complete PDF of the issue for you to read along to and enjoy.